I have just returned from a trip that included a visit to the Great Smoky Mountains in Tennessee. There weren’t many people around so I enjoyed a peaceful morning walk. Everywhere I looked there were stones both in and out of the water. Here is some of what I saw. These almost look like steps. Check here for more posts. 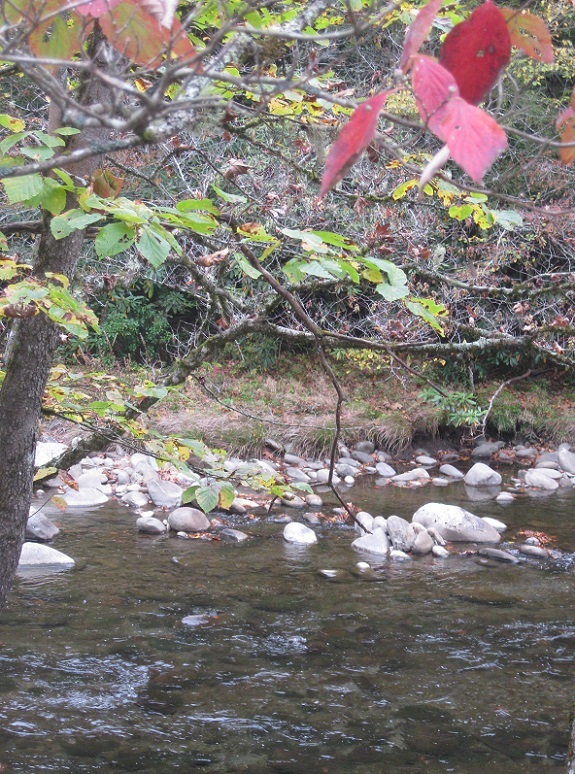 This entry was posted in Travel, USA and tagged autumn, Great Smoky Mountains, Tennessee. Bookmark the permalink. Quite beautiful. We have just returned from New England and your post so reminded me of our visit. Great shots. Love tennessee and you have really captured it’s beauty. Thanks Sharon – I really admire the mountains in Tennessee! 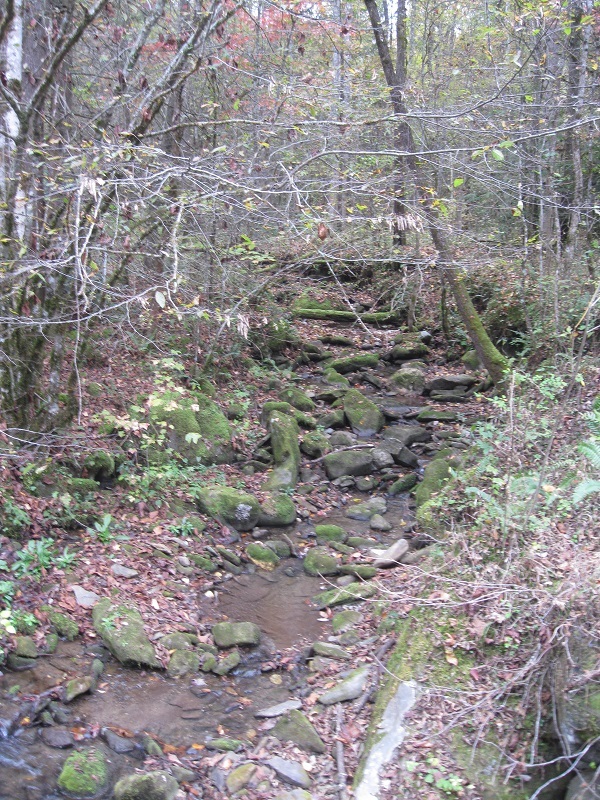 These rocky creek beds are just one of the many reasons my mother goes down to Gatlinburg and the Smokies every year. I was just in Gatlinburg and I can see why she likes to go there – it’s beautiful! This reminds me I haven’t gone hiking yet this year in the woods nearby. This kind of terrain is good for the soul. Thank you – it was a great time of the year for a visit! Even though there wasn’t any ice cream it was still a marvelous place to walk! What a beautiful looking place, I could nearly smell the fresh air and hear the tumbling water. Nice stones, too. The fresh air and the water were so invigorating – it was a wonderful experience! Thank you – it was such a picturesque scene! It must have been beautiful this time of the year! It definitely was gorgeous with the leaves changing colors! Thank you – I’m happy that they remind you of your visits there! I agree – it’s a perfect combination and makes the walk so much more interesting! Love the Smokeys. It’s hard to find a more beautiful place. They are spectacular mountains and I always look forward to going there! I will be in Tennessee (Nashville) for the very first time in January and was trying to think where else I could go… wonder what the weather conditions would be like then! I once lived in the Smokey Mountains and the stones along the creeks and rivers were one of my favorite things about the area. The slate greys and soft smokey browns. Lovely post from my home state. It must have been so amazing to live there! The stones were so varied and I really liked the moss-covered ones. Thank you Teresa, I really appreciate it! You really have been traveling! How nice!!! I’m really happy that I’ve been able to go to so many wonderful places!